Wrapped in a leather-like vinyl, these chairs have an upscale look and feel that does not sacrifice durability and comfort. 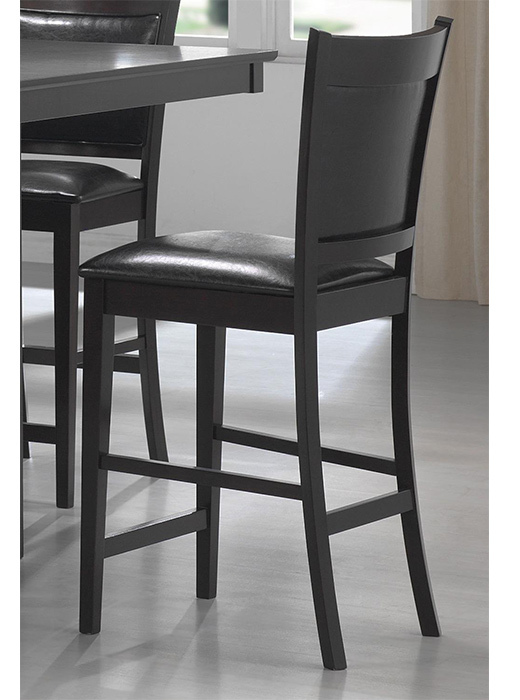 Dine in casual comfort with the Jaden Counter Stool. 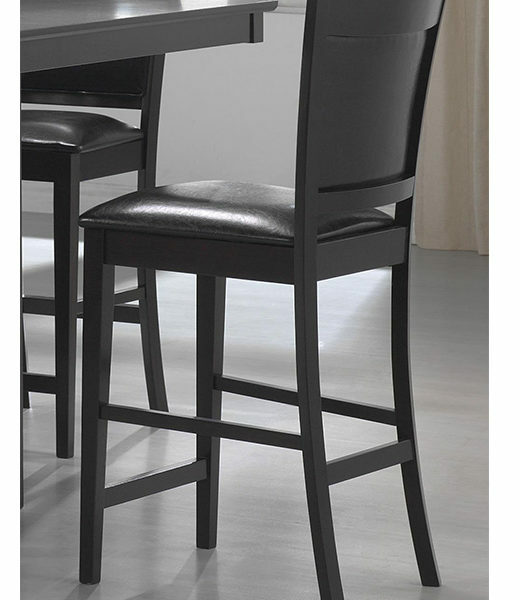 Counter stool with beautiful black upholstered seat and back. Wrapped in a leather-like vinyl, these chairs have an upscale look and feel that does not sacrifice durability and comfort. Support stretchers provide sound structure and visual details to impress. Modern with a simple yet stylish design, these stools are appropriate for both formal or casual dining environments. Wood & Finish Finished in a rich cappuccino.